Find a doctor who knows about the subject and go see him. Note: Many medical doctors do not know about this and will be inclined to denigrate the idea. Dr. Jonathan Wright in Tacoma, Washington publishes articles that are worth your time. Norman Rockwell would have loved painting Brent Watson for a Saturday Evening Post magazine cover. Whether suited up in white, wearing a face mask while mixing components for prescriptions in his sterile room, or presiding over the counter at the front of his shop, he is quick to smile and demonstrate his wealth of knowledge in answering questions from patients. With the twinkling eyes of the chemistry wizard he is, Brent has loved his work for decades. When I first heard the term, “compounding pharmacy,” a vivid image of my college Chemistry lab came to mind – boiling beakers, acrid smells, and the wayward class genius hiding in the far corner trying to distill alcohol, while our Professor confused us all silly with never-ending formulae. Brent Watson’s pharmacy is clean, bright and calm. With Brent, one can get a detailed and most important, a clear explanation of the pros and cons of any drug. Each prescription is formulated and compounded specifically for the individual. He says the current boom in bio-identical hormone compounding is patient driven and began a decade ago with actress Suzanne Somers in her books and appearances on talk shows. On the Oprah show, she recommended testosterone for womens’ libido and bio-identical hormones to fight the aging process. Doctors have been prescribing hormones for women, primarily to assuage the effects of menopause and Pre-Menstrual Syndrome, for decades. The most prescribed manufactured drug is Premarin, a form of estrogen made from pregnant mare’s urine. When that mass produced estrogen was found to cause uterine cancer, Provera, a chemical form of the progesterone hormone was developed to combat the effects of Premarin. 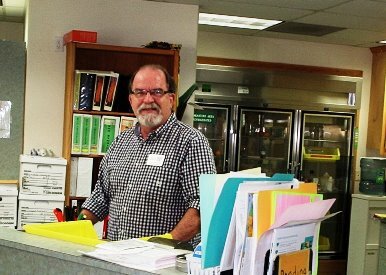 At the end of the day, in the complex and often frightening world of pharmacology and the drugs that may or may not keep us living longer, Brent Watson and the staff at Central Coast Pharmacy Specialists have become an island of solace to many. If you want to know about bio-identical hormones and how they might help you, find a compounding pharmacy in your area and ask the pharmacist which doctors prescribe them.